There are really many blushes on the market, different colors and different types. Do you know how they differ and which one is suitable for your skin type? Here is what you should know about blush before you buy. Powder blush is the densest of all the blushers. It’s proper for all skin types, but best for those oily skin and people who want long-lasting color. 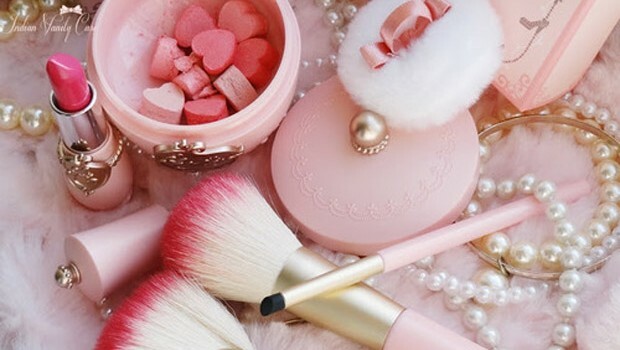 Cream blush include ingredients of moisturizing effects, so it’s great for dry skin and should be applied with the fingers rather than brush. Gel blush will dry fast, so it not suited for dry skin. But for oily to normal skin, it can provide a sheer glow. Tint blush is also a fast-drying and you should blend it fast and well. It won’t budge once being set. And the shimmer is a type of blush best for nighttime. You can dap a bit of shimmer to the inner corners of your eyes, your forehead, and your cheekbones. It will make you look great. But your highly wrinkled spots should be avoided if you don’t want them to be accentuated.